2018 is almost over and, as many do, we look back at the fun-filled times we shared with our guests. It goes without saying, Mystic Quarry guests are the best group of vacationers around – making the most of our beautiful rivers and lakes, connecting with friends and family over a shared meal, or laughing uproariously around a campfire, or dancing like there’s no tomorrow at a live show or playing games into the wee hours of the morning. We absolutely love all our guests that help Mystic Quarry come to life. Thank you for choosing to stay with us! Our guest list from 2018 included some truly unique visitors. We hosted a handyman magazine crew shooting an on-location build, a lively group of Belarusian and Ukrainian Facebook friends gathered from all parts of the state, and a lovely set of fitness models launching a new swimsuit line. We hosted three corporate events including Intel and an Austin marketing firm, a bohemian-style wedding in the forest, a singer-songwriter workshop with Austin legend Ian Moore, and the intrepid Sisters on the Fly. The list doesn’t even begin to cover all our wonderful, quirky family reunions and vacationing guests who tell some of the best stories that keep us laughing out loud or admiring all their achievements. The return guests are the best! 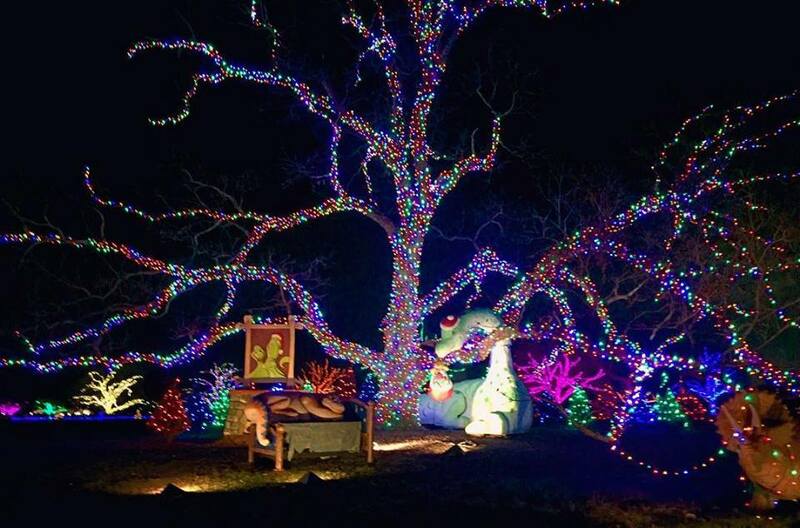 We must mention our delightful Winter Texans from all over the northern states! They brighten our day during colder months of the year and create lasting friendships. Check out the Winter calendar online @ MysticQuarry.com – it’s amazing. 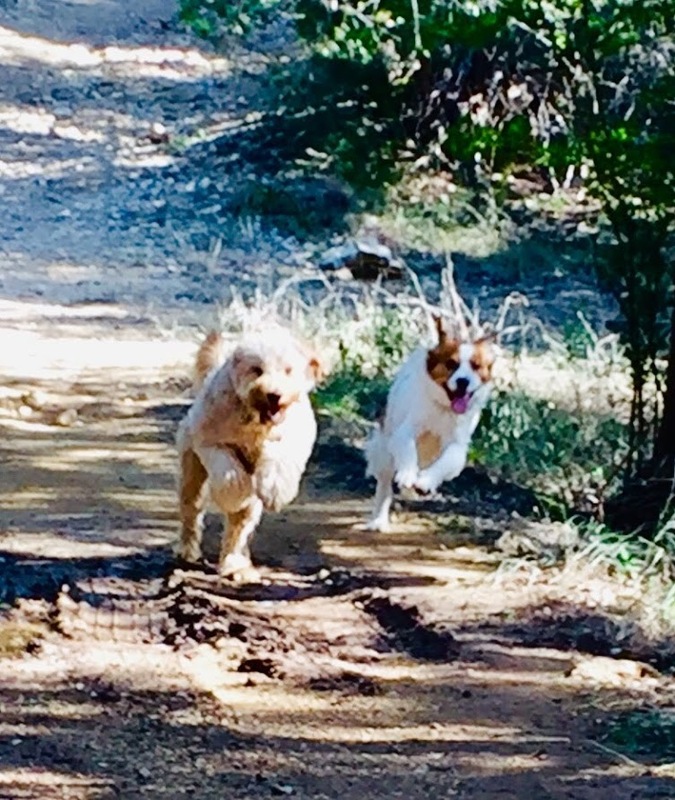 If you’ve ever visited our place, you already know just how much we love our four-legged friends (Canyon & Shiner - the owners dogs) and our local craft breweries. 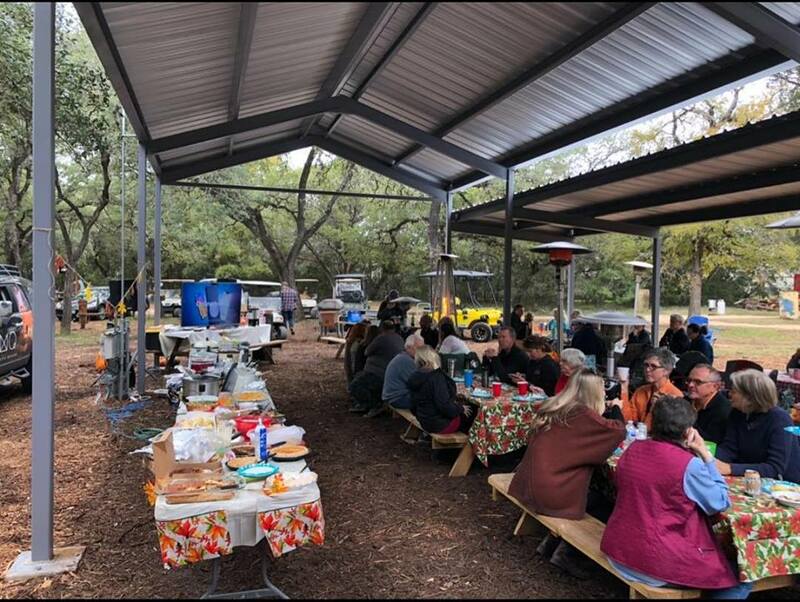 In their honor, we held our first annual Pints-n-Pups (PnP) Charity Event on April 28, 2018 supporting Canyon Lake Animal Shelter Society (CLASS) – a local no kill shelter. 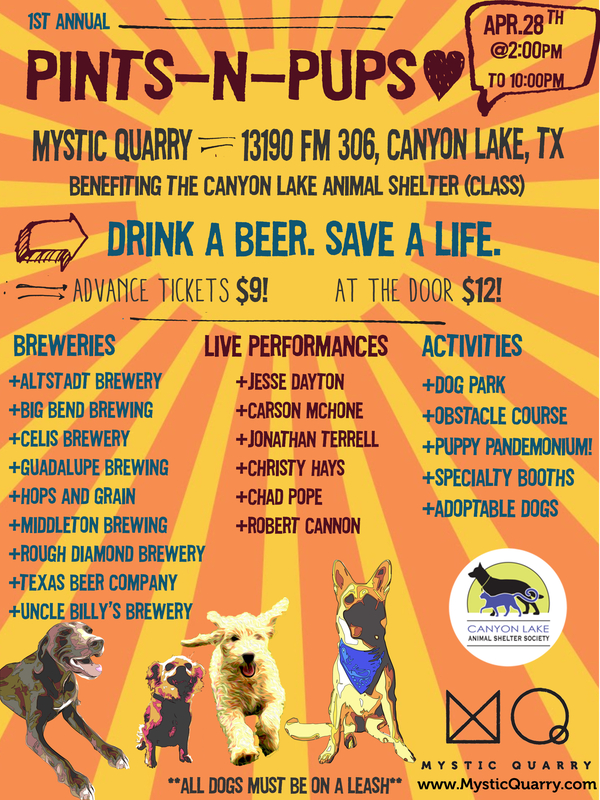 Attendees helped us raise over $2000 for the shelter while enjoying tastings from nine local breweries and six live performances from Jesse Dayton, Carson McHone, Jonathan Terrell, Christy Hays, Chad Pope and Robert Cannon, as well as food and merchandise vendors. 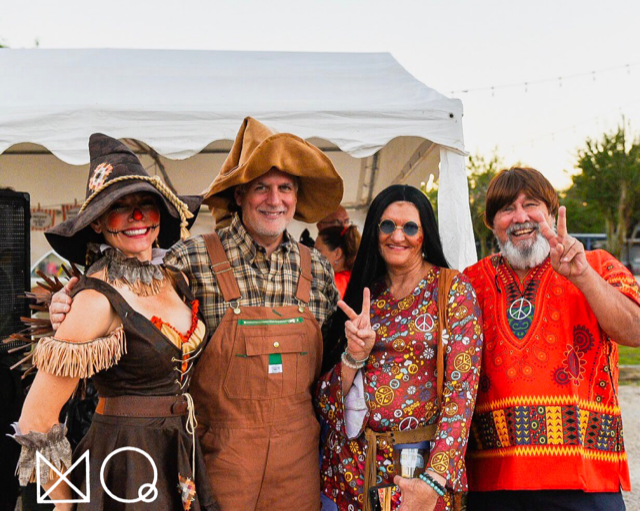 On October 27, 2018, we marked our park’s second anniversary with the second annual Autumn Fest Celebration. Also, a special Happy Birthday to Courtney Trent (one of the Mystic Quarry owners - the beautiful scarecrow in the below picture). Guests showed up in Halloween attire to claim prizes for best costumes. 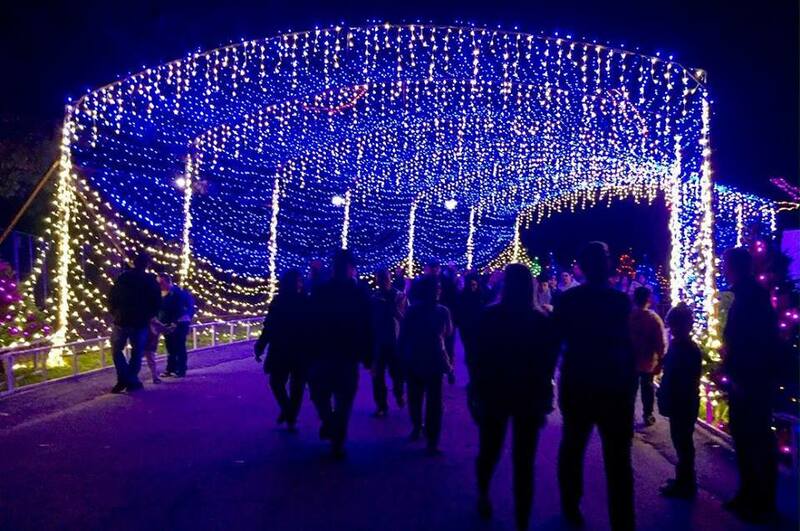 The event featured a haunted forest hay ride with a new walk through haunted house addition, candy scavenger hunt, themed contests, food and live music from Will Owen Gage Band (a member of Two Tons of Steel). Thanks to all the guests who came out to celebrate this great day with the Mystic Quarry Family! Next year we plan to keep our haunted forest open for the entire week. Watch for dates online. Mystic Quarry will continue to host live music on Summer weekends for our guest (usually Friday night so it does not interfere with Whitewater Concerts). So, grab your friends and plan a trip to Canyon Lake for some tubing, fishing, hiking, boating, and more. We’ll take care of the evening entertainment! 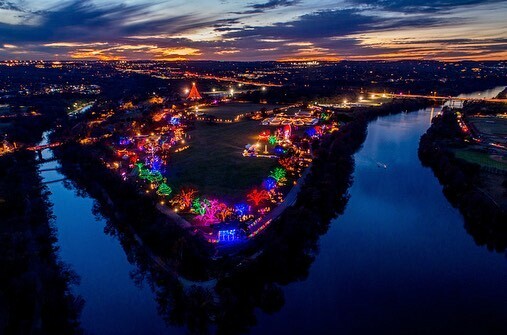 While you can’t go wrong spending your time with us, you can also find plenty of festivals nearby and Mystic Quarry can take you there. 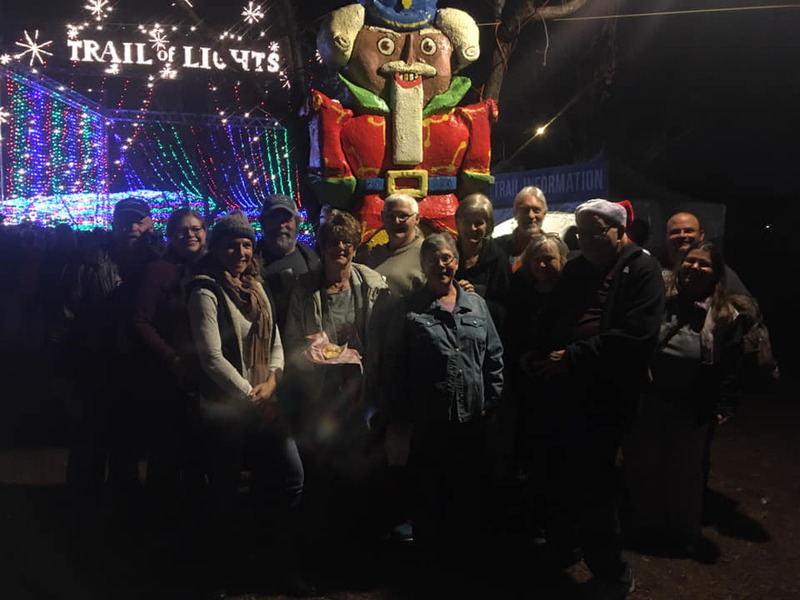 Wurstfest 2018 and Austin Trail of Lights are just a couple of road trips we made in the MQ shuttle. There is nothing better than having someone else take the wheel and we promise to keep you entertained with good conversation, music, and sing-alongs - if that’s your thing. Tent campers rejoice! 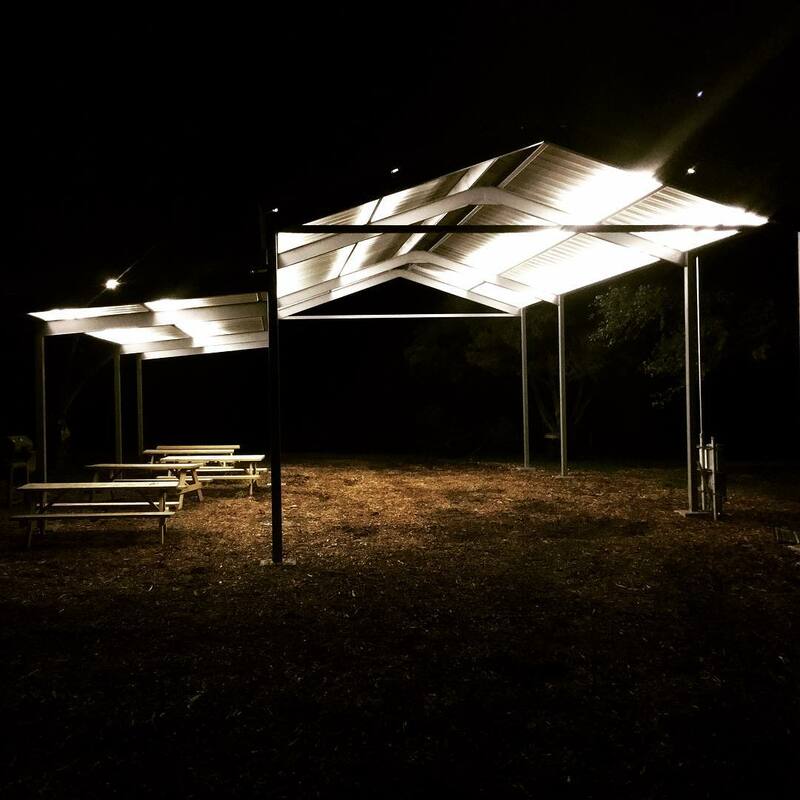 We now have a new 30 x 40 metal Pavilion in our primitive camping area for outdoor events, and we have added 11 power and water camping sites. The shaded beauty of this area is preserved, but now you don’t have to go without a portable fan and a nearby water source. We haven’t forgotten about our RV crowd. Mystic Quarry added new RV sites and spruced up a few existing sites. There is additional room for RV groups now and more planned in 2019. Bring your traveling posse and spend a week with us – longer stays and groups get deep discounts. More “back to nature” at Mystic Quarry than ever before - the 1-mile nature trail is in green on the map above. Visit our free-range chickens with their bigger home. They are just like our spoiled pups begging for picnic scraps. 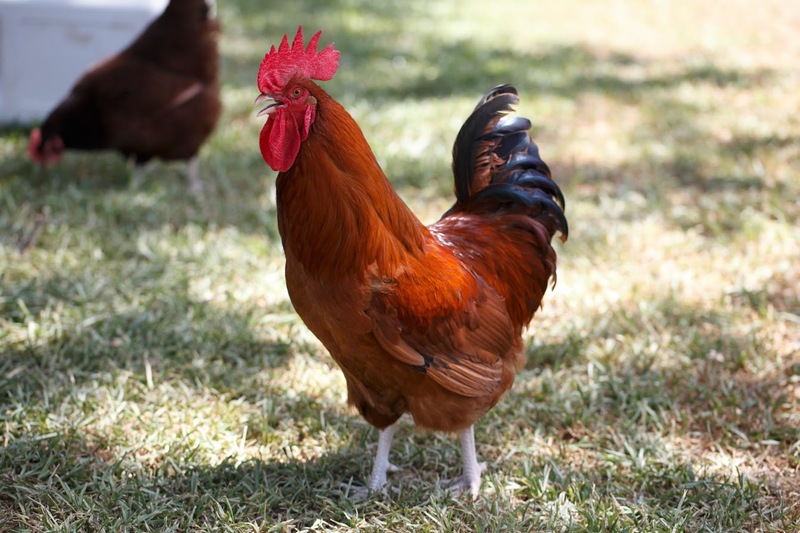 We have even named a few of them, but everyone knows Jack the gorgeous red rooster. He likes to ring in the day with a little morning crowing. In May, we harvested our first honey from our 2017 bee hive and gathered about 1-1/2 gallons of delicious golden-brown honey. Our honey sold out quickly, and we are anxiously awaiting better weather conditions, so we can safely harvest more this coming year. We also added another bee hive in April, so we are hoping to have a bit more honey next year. 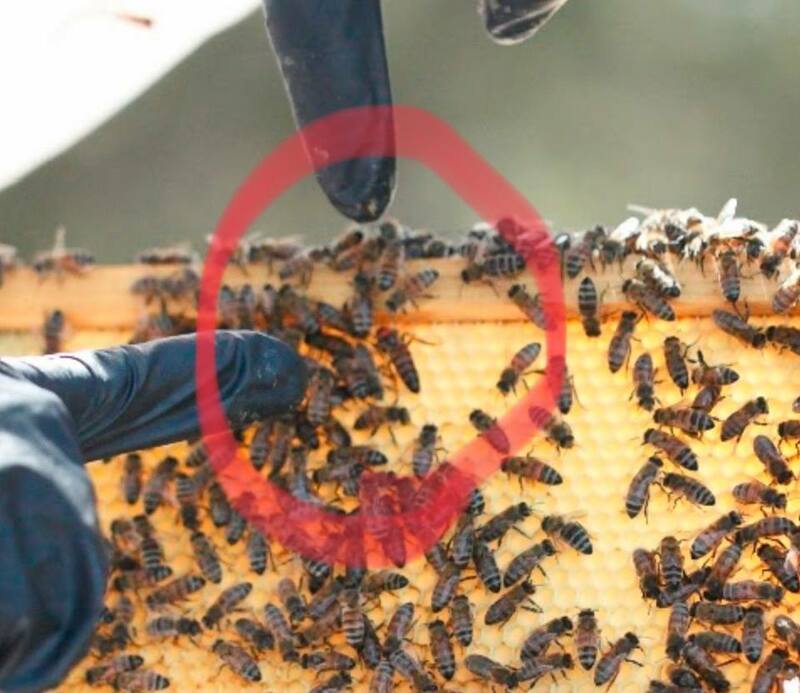 If you are interested in knowing more about the bees in our area, you can read about them here: https://mycanyonlake.com/about-those-bee-swarms-and-wasps/. Introducing our new queen in August 2018 - a scary time for our mature bee hive. Here are some fun facts about our Mystic Quarry honey bees: Honey bees fly approximately 55,000 miles to produce a pound of honey. During the life of a honey bee, they will gather about 1/12 of a teaspoon of honey. A honey bee lives approximately 40 days in the summer and 4-9 months in the winter. Bees must go to two million flowers to produce a pound of honey. 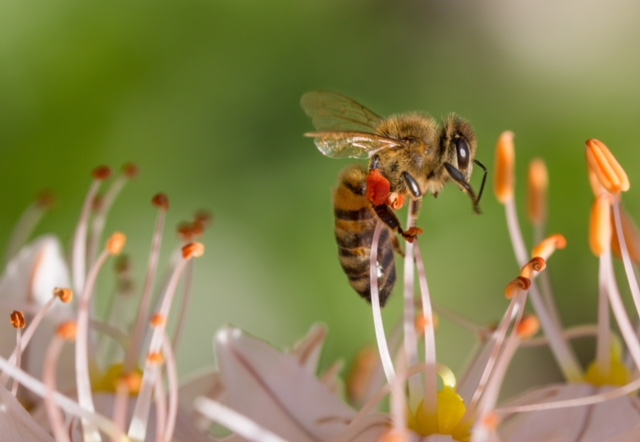 A foraging honey bee can carry 80% of their weight in pollen or nectar. The queen honey bee lays between 1,000-3,000 eggs per day. There is only 1 queen per colony. More than one queen will fight and only one will survive. To help our honey bees, we developed a large organic garden near the chickens and bees. 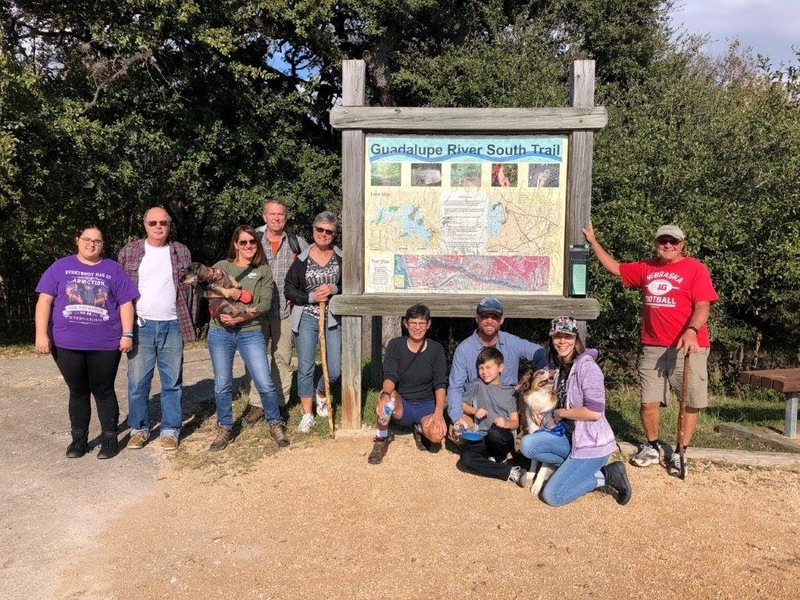 Last winter, our Winter Texans did a wonderful job of lining our 1-mile nature trail with MQ marked cairns to help our guests navigate the trail. They also created a wonderful meditation area near the Quarry. Come spend some time exploring all 21 acres of the resort and discover how easy it is to unwind. Trout season is upon us. The Guadalupe River Trout Unlimited (GRTU) has already stocked the Guadalupe River twice with rainbow and brown trout. Just 1-mile away, you can access the river to try your luck at fly fishing for trout. The annual Troutfest will be held at Lazy L&L on February 22 - 24. We will be an exhibitor again this year. 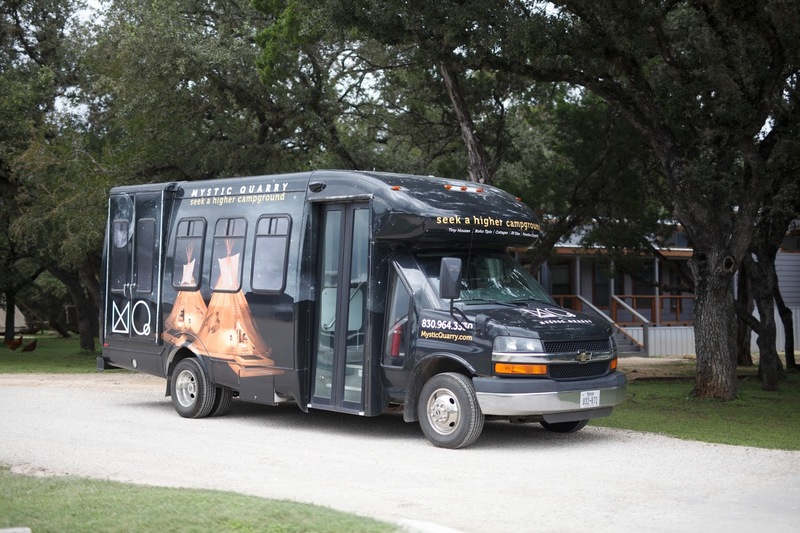 Come stay at Mystic Quarry and get a free shuttle ride to / from the event. Whitewater Amphitheater has already announced some outstanding concerts: Willie Nelson and Family will kick off the season on April 12/13, The Avett Brothers on May 11/12 and Cody Johnson & Friends on May 25/26. Book early to get your spot at Mystic Quarry. We offer an on-demand shuttle to/from the Whitewater Amphitheater for only $10 per person. Mind if we toot our own horn? 2018 was a very special year for Mystic Quarry. 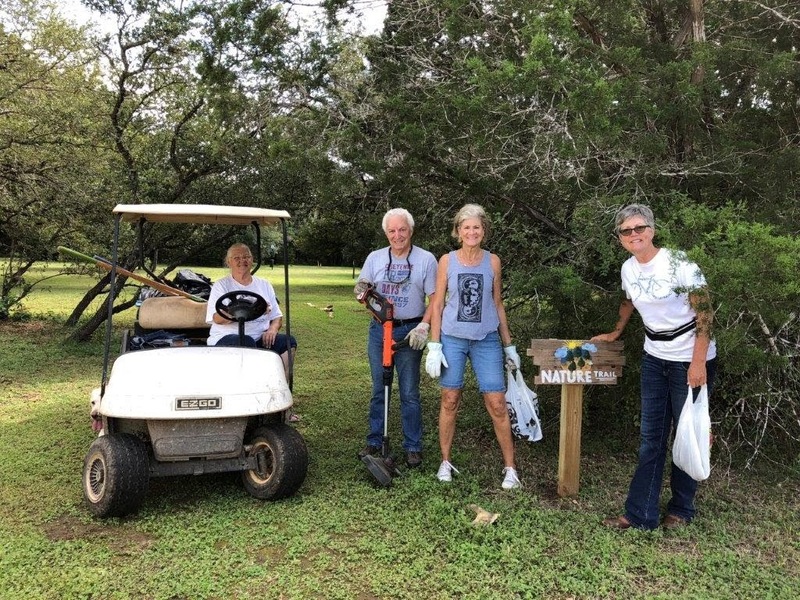 We kicked off the year receiving a Beautification Award from the Canyon Lake Chamber of Commerce, highlighting businesses that improved or ‘beautified’ their property in 2017. We were blessed to be featured on 2 San Antonio News Stations: KENS5’s Great Day SA show that aired May 3 @ 9 am and KSAT12’s SA Live that July 26 @ 1pm. Check out our website or theirs for those clips. We also designed and built our first ever Christmas float. We were fortunate to get 3rd place at the Comfort Texas Christmas Parade for “Best Christmas Theme” and we took first place at the New Braunfels’ Hometown Holiday Christmas Parade for “Best Overall Entry.” We have a lot of work to top those prizes next year. 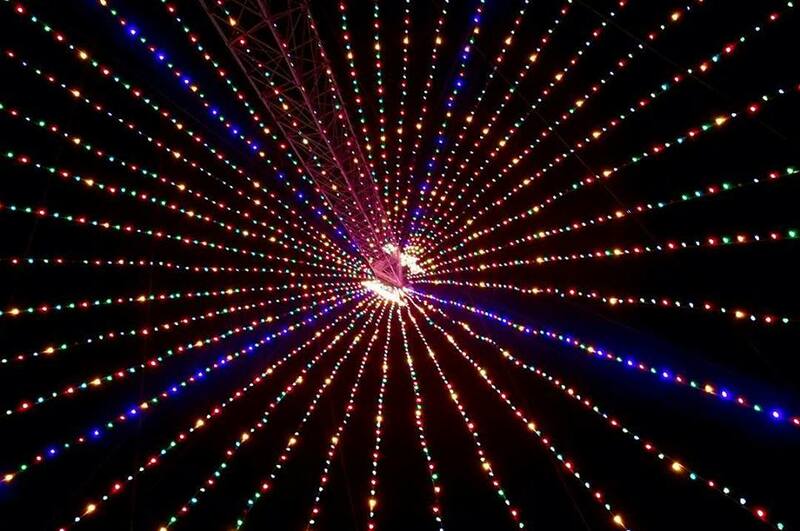 Follow us on Instagram or Facebook - The best way to keep up with all the goings on at Mystic Quarry!